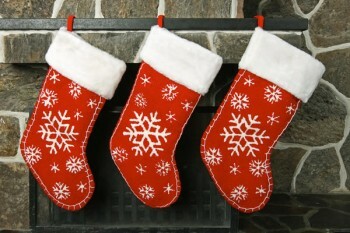 Home » Living Room » Ways to make the most of your Christmas pay. Ways to make the most of your Christmas pay. Each year Christmas somehow manages to creep up and surprise you, even if you try and plan for it. This year there are reports in the news saying that some people will turn to payday loans in order to fund the festive season. At Payplan we want to make sure you make the most of your last pay day before Christmas. We have therefore put together a guide full of hints and tips so you can make the most of your money. Calculate all of your income: some of you may be lucky enough to receive a little extra in your December wage packet, if you do then you should try and plan exactly how much money you have coming into the household for the month. Sort out your bills: make sure you budget your money so that you pay all of your bills – rent/mortgage, council tax, gas and electricity, insurances, plus anything else you usually pay for. Missing payments on such bills can incur additional charges which you will want to avoid. Plan who you are buying presents for: Before you even step out of the door to start your Christmas shopping, make a list of who you intend to buy presents for. Plan how much you intend to spend: once you know who you need to purchase presents for then you can begin planning how much you plan to spend on each person. Sticking to this plan will ensure that your stick within your budget. Shop around: make sure you shop around and keep an eye out for discounts. In the run up to Christmas many shops try to lure you in with sales, many also issue discount vouchers on sites such as vouchercodes.com so make sure that you check before starting your shopping. Use your loyalty points: you build up your loyalty card points throughout the year and Christmas is a great time to use them up and save yourself some money. Shop online: Shopping online makes it hard for you to impulse buy, it also makes it easier for you to shop around and find the best price for that perfect gift. If you have any tips of your own, we want you to share them!